A new fence is a big commitment financially, but it is one that is well worth the upfront cost. Besides boasting a return on investment (ROI) of over 50%, a new fence will also greatly improve the curb appeal of your home – adding property value – while also boosting security and helping to keep your family safe. That is what we like to call a win-win. But before you can reap the benefits of a new fence, you must first choose the perfect fence for your Northern Virginia home. And this is easier said than done. What material do you prefer? Wood fences are a classic, giving your home a unique look and feel, but these fences also require annual maintenance: cleaning, painting, and staining. Do you have the time or desire to do the work that needs to be done? Vinyl fences are great for the homeowner who wants a low-maintenance fence. However, not everyone loves the look of a vinyl fence. Of course, there is always chain link. If you are more interested in functionality than aesthetics, chain link may be perfect for you. These fences are durable and affordable. Additional material options include steel and aluminum. Once you have answered these two questions, you are ready to answer the most important question of all; who in Northern Virginia do I call to install my new fence? The answer: Hercules Fence! In today’s do-it-yourself world, some tasks, like building a fence, are still best left to the professionals. Fence installation is harder than it looks, but Hercules Fences makes the entire process look easy. Best of all, as the largest fencing company in Northern Virginia, we are able to buy our fencing products at a price that will afford you value to complement our quality. 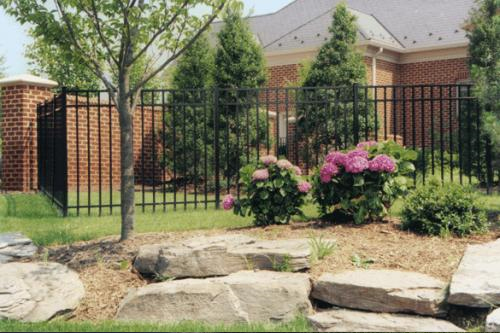 For more than 50 years, Hercules Fence has been providing exceptional fence services to the people of Virginia and the surrounding area. During this time, we developed a strong reputation for professional service and quality installation. This entry was posted on Wednesday, June 25th, 2014 at 1:06 pm. Both comments and pings are currently closed.